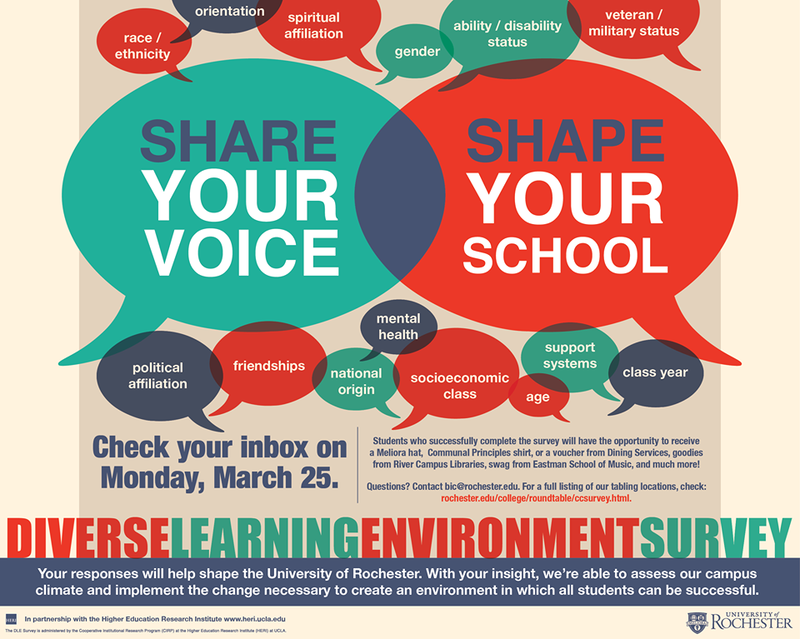 Today, March 25, 2019, undergraduates within the College and at Eastman School of Music at the University of Rochester will receive an email with the link to fill out the Diverse Learning Environments Survey which is designed to help create positive social change on our campus. 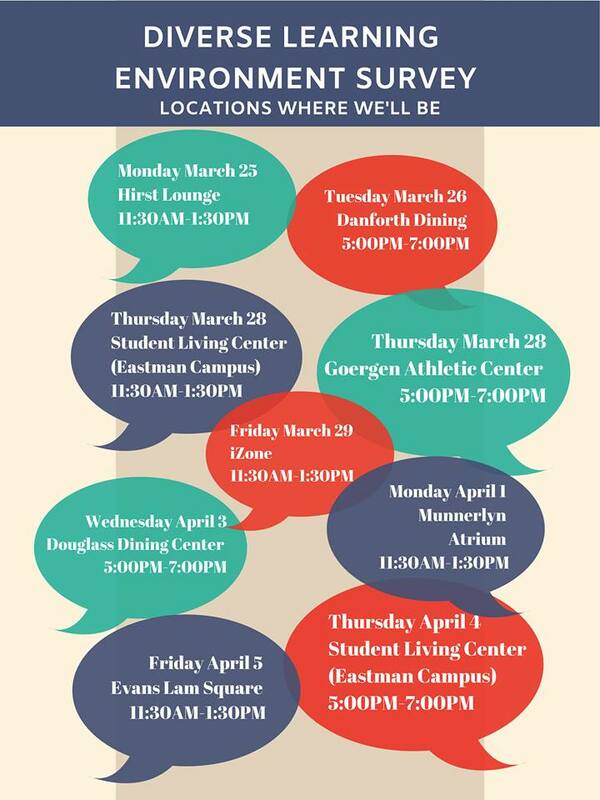 Fill out the survey for a chance to win a prize at one of the upcoming tabling events! Find the detailed listing of the tabling events on HERE. Presented by the Paul J Burgett Intercultural Center & UR Orientation.